At Mississippi's sole remaining women's reproductive services clinic, a gunman bursts in and takes hostage of its patients and staff. The stories that bring these individuals together vary, from a woman awaiting cancer screening results, to a protestor hoping to catch the clinic ... read full description below. At Mississippi's sole remaining women's reproductive services clinic, a gunman bursts in and takes hostage of its patients and staff. The stories that bring these individuals together vary, from a woman awaiting cancer screening results, to a protestor hoping to catch the clinic in a scandal that could be used in a pro-life campaign. Then there is the police hostage negotiator, whose daughter is also trapped inside the facility, and the gunman himself, who has a vendetta to carry out. Meanwhile, across the state, a 17-year-old woman lands in the hospital after an attempt to self-terminate her pregnancy and is subsequently charged by the pro-life DA for the murder of her unborn child. They, too, are connected to the events unfolding in the clinic. As the book moves backward in time, each chapter set one hour earlier than the next, we learn how all these people and their stories are unwittingly connected--and that none of these characters' reasons for being where they are at this fateful place and time are exactly what it appears at first glance. 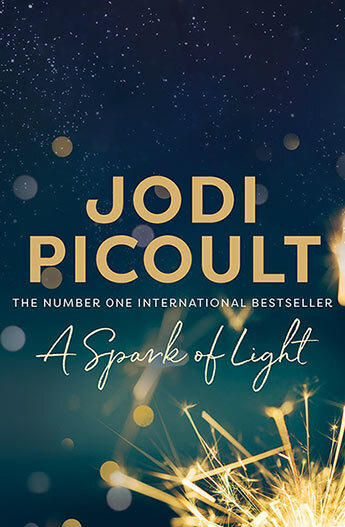 Provocative, timely and gripping; the masterful new novel from Jodi Picoult asks: what makes a life?